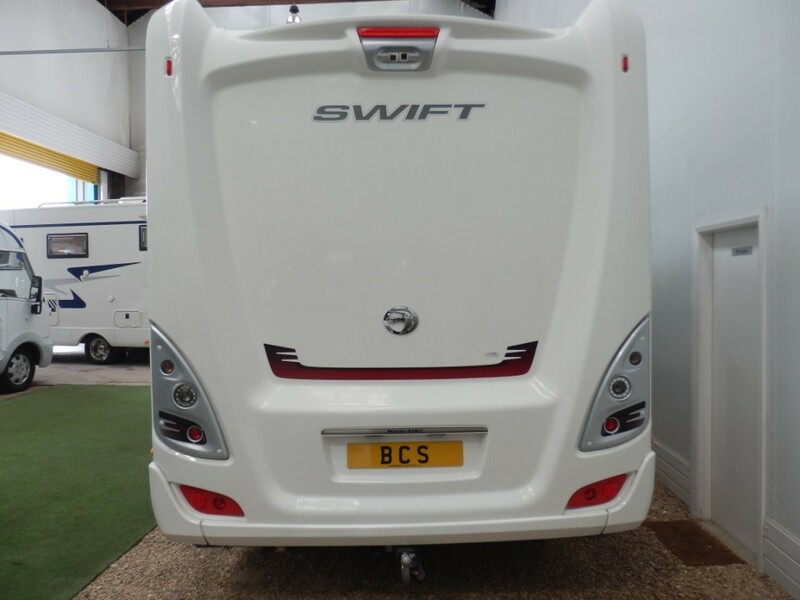 We are pleased to present for sale this beautiful 2014 Swift Kontiki 679. 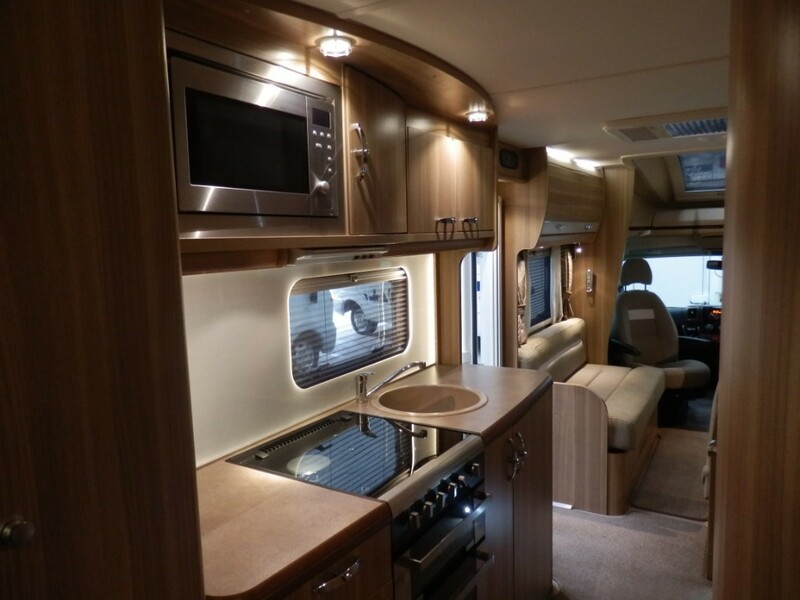 This motorhome comes with 12 months MOT, 3 months personal BCS warranty, and a full major service. 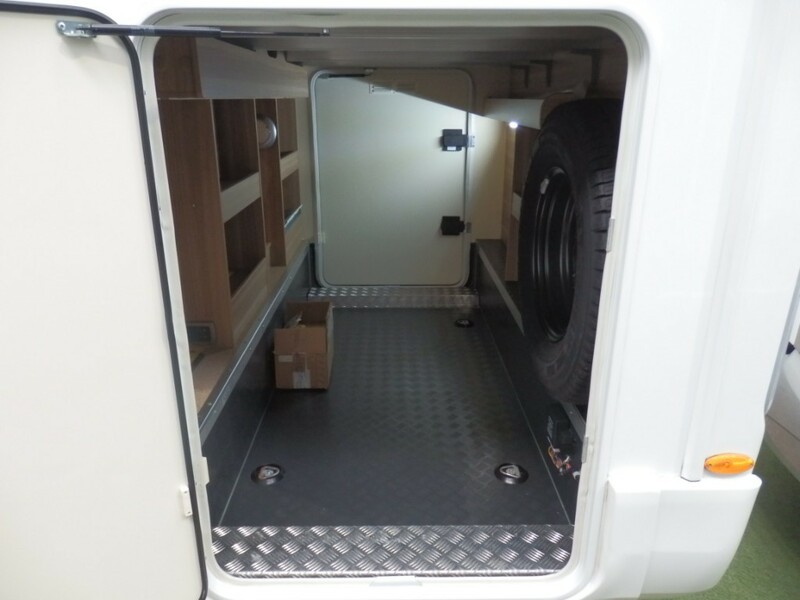 It is a lowline, automatic vehicle with an alko chassis and comes with a Cat 1 Sigma alarm and immobiliser, large heated double door garage that will fit a motorbike if required, alko detachable towbar, twin reverse camera, solar panel, and ALDE wet central heating. 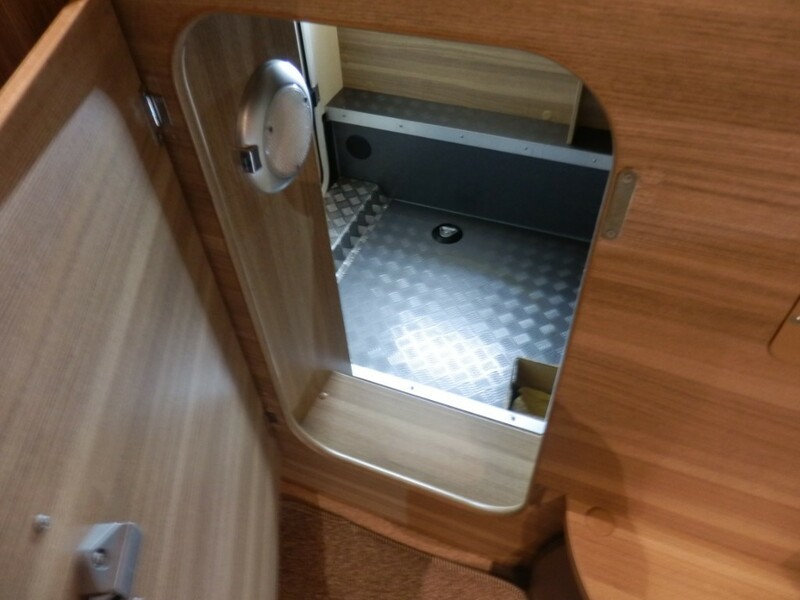 To the rear of the motorhome you have a double transverse bed which has an access door to the garage underneath. 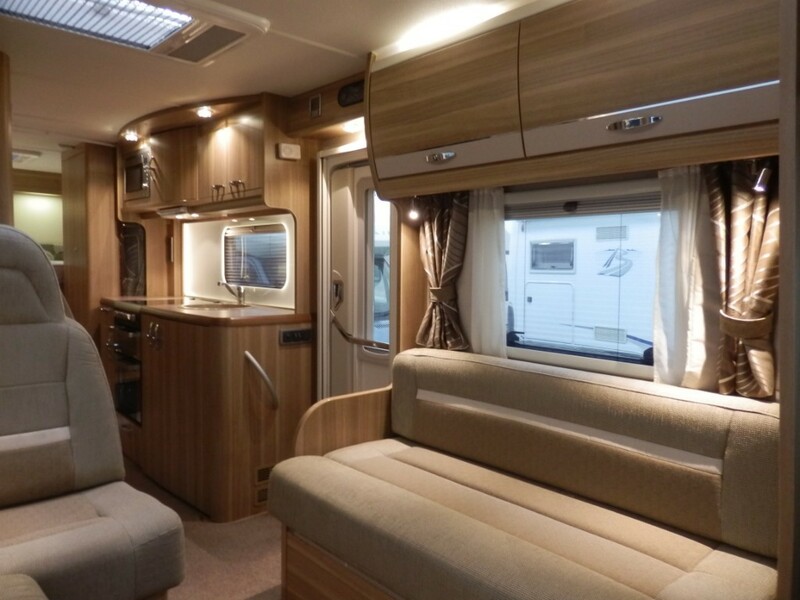 There is a TV point, roof light, and double wardrobe here as well as overhead lockers. 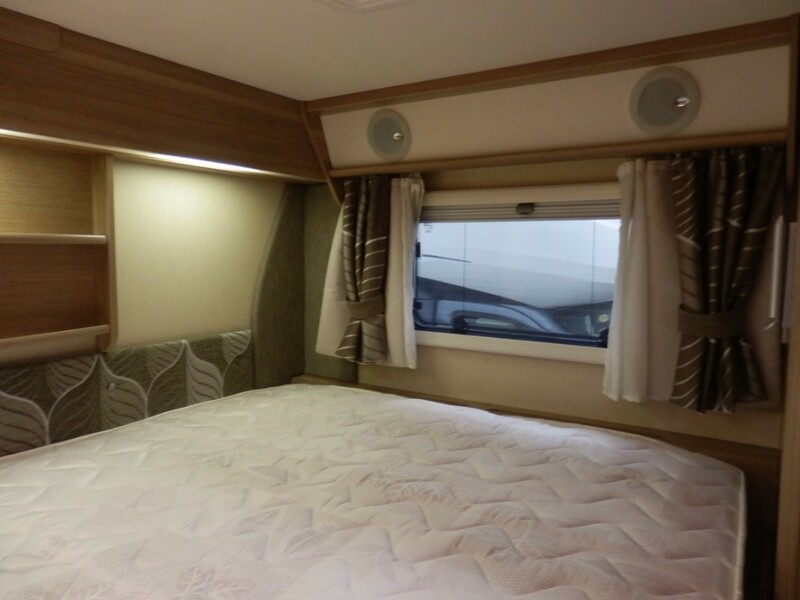 For privacy you have a bedroom curtain. 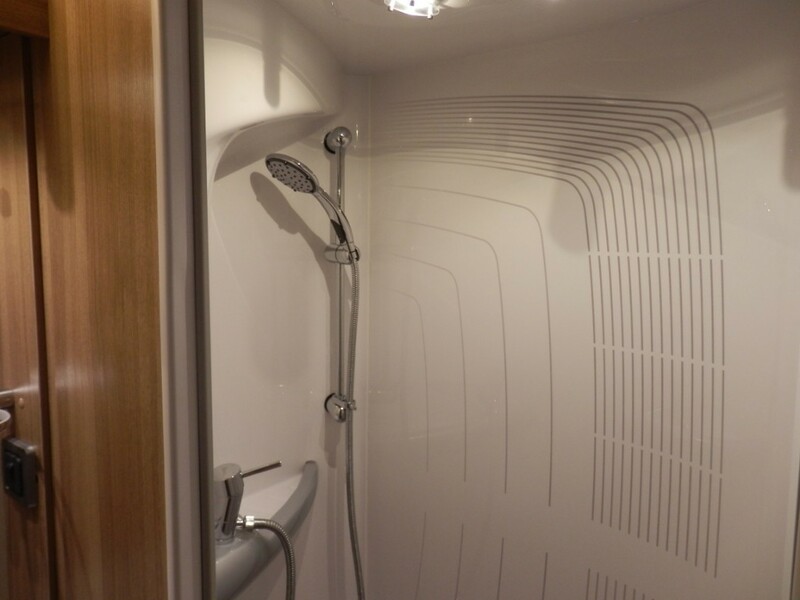 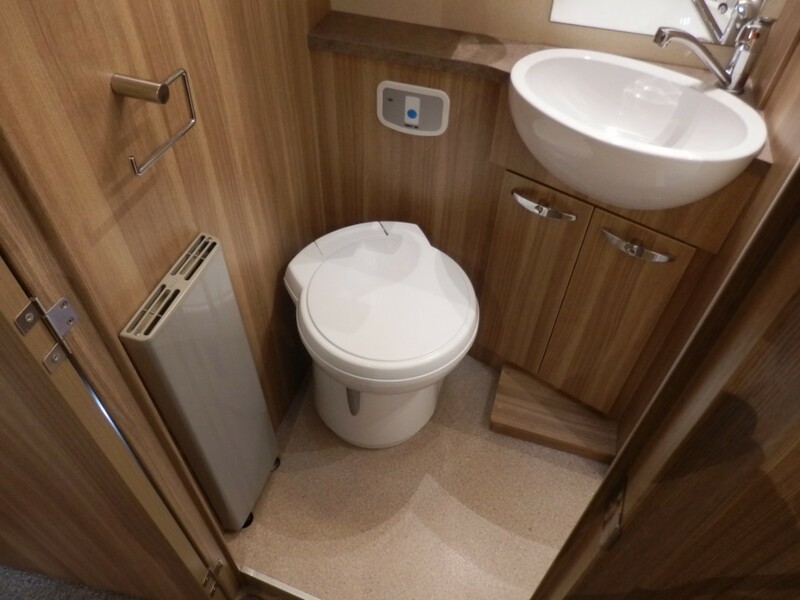 The washroom consists of a washbasin with mixer tap, Thetford WC and a separate shower cubicle with mixer shower. 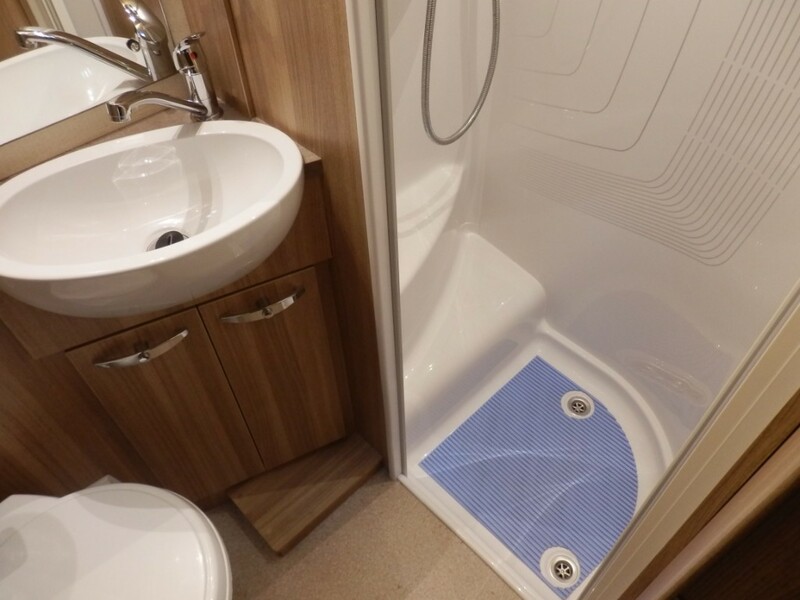 For storage there are under sink cupboards. 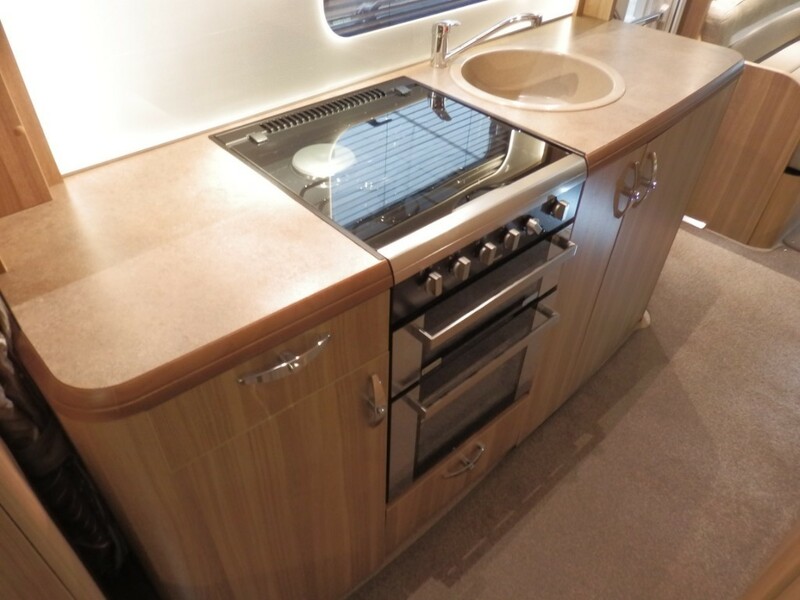 The kitchen is made up of a three ring gas hob, 1 electric hot plate, sink with mixer tap, microwave, oven, grill, fridge, separate freezer, and an extractor fan. 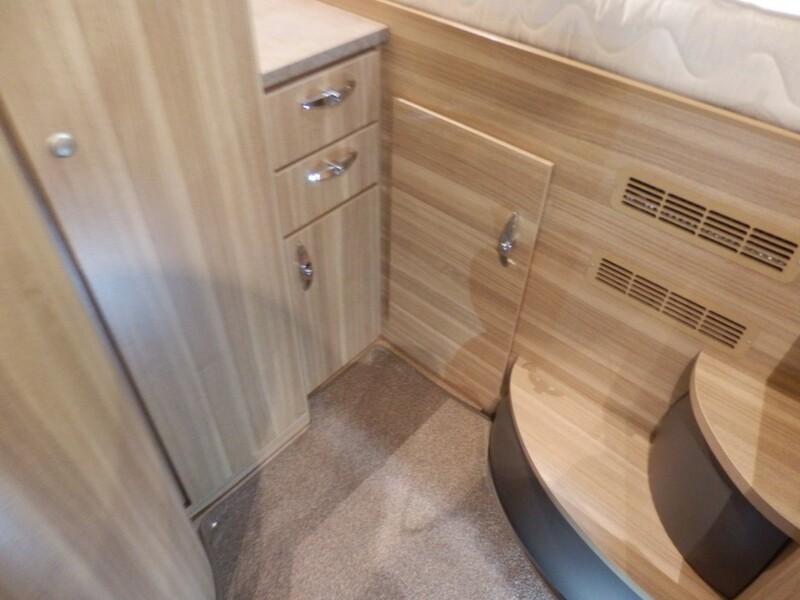 There are under counter cupboards as well as over head lockers for storage. 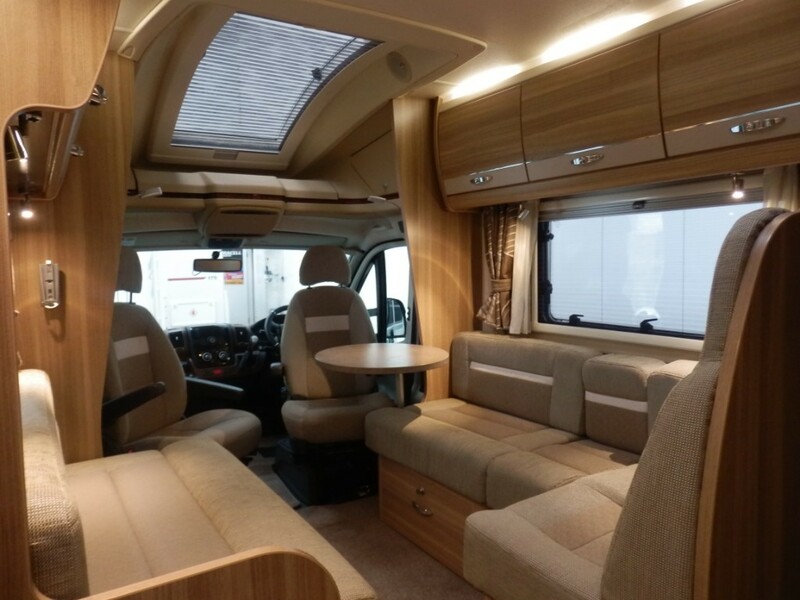 In the centre there is an L shaped sofa with two forward facing, three point seatbelts legally allowing you to carry passengers of all ages. 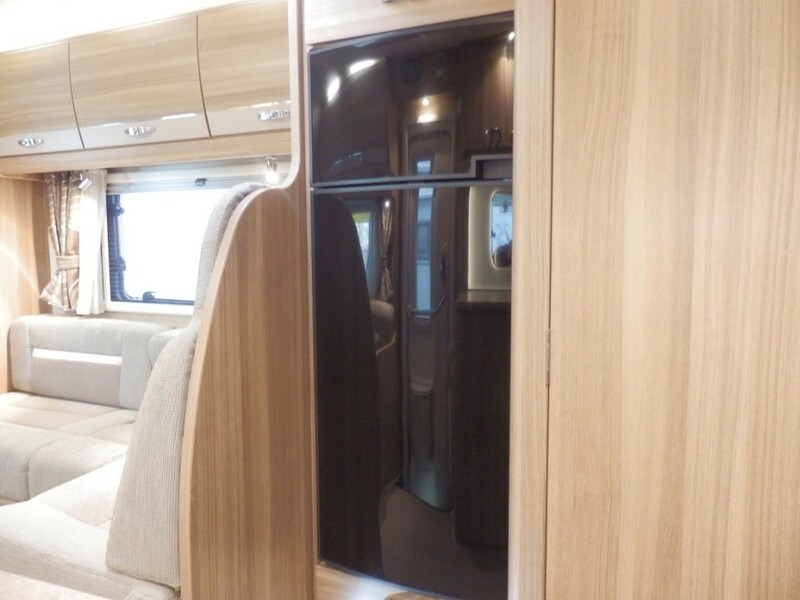 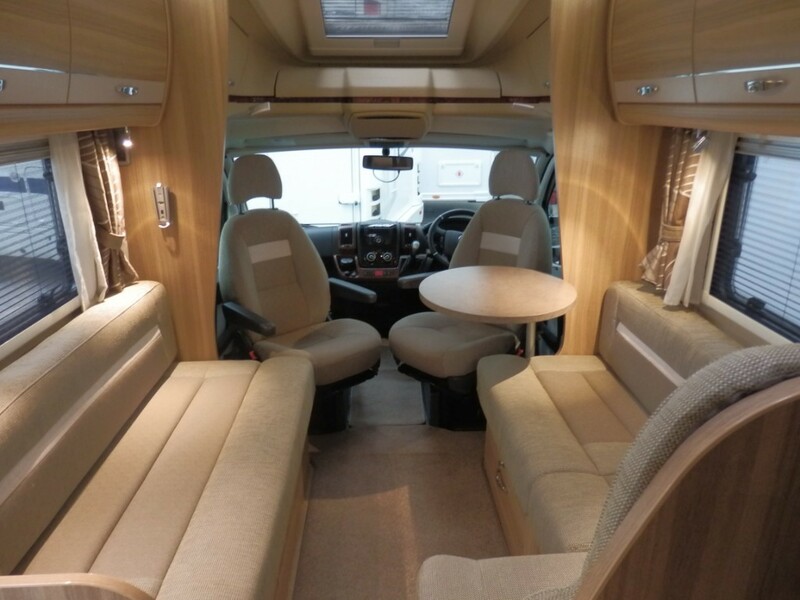 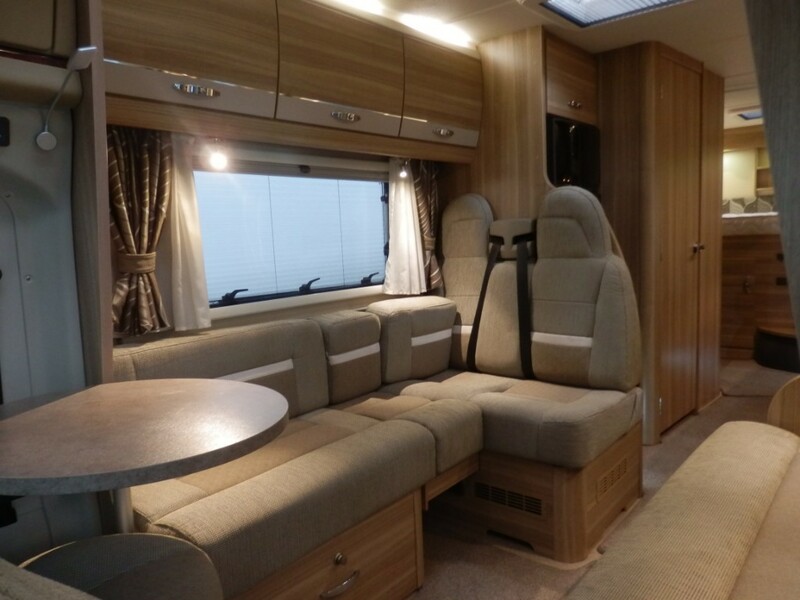 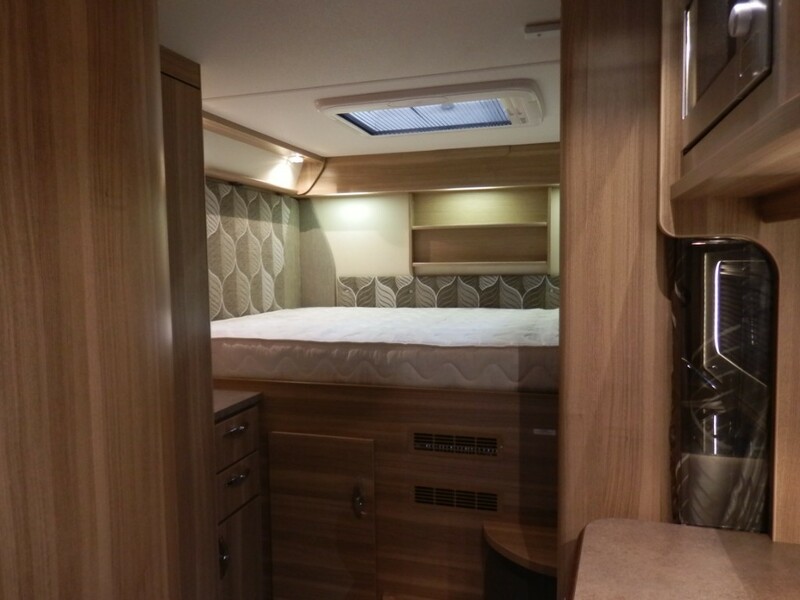 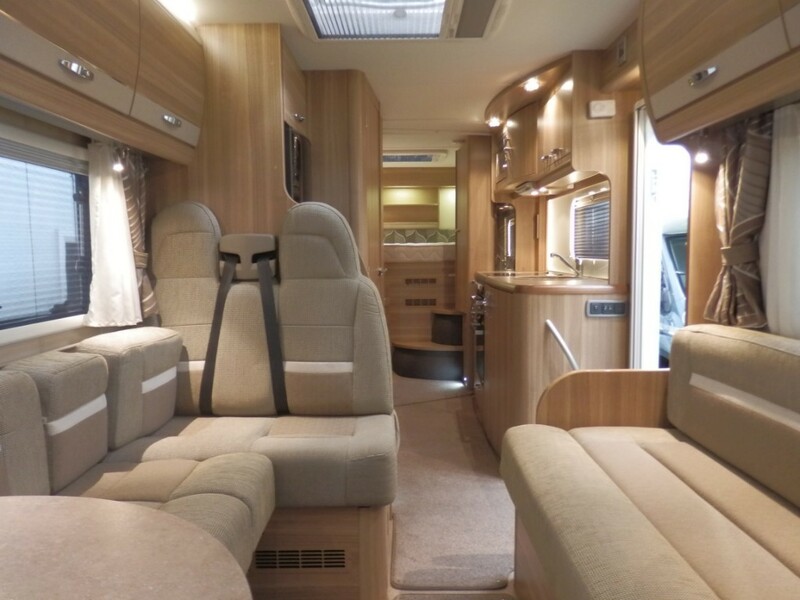 Facing is another sofa which has underneath storage space, and the two combined convert into a double bed, making this a luxurious 4 berth motorhome. 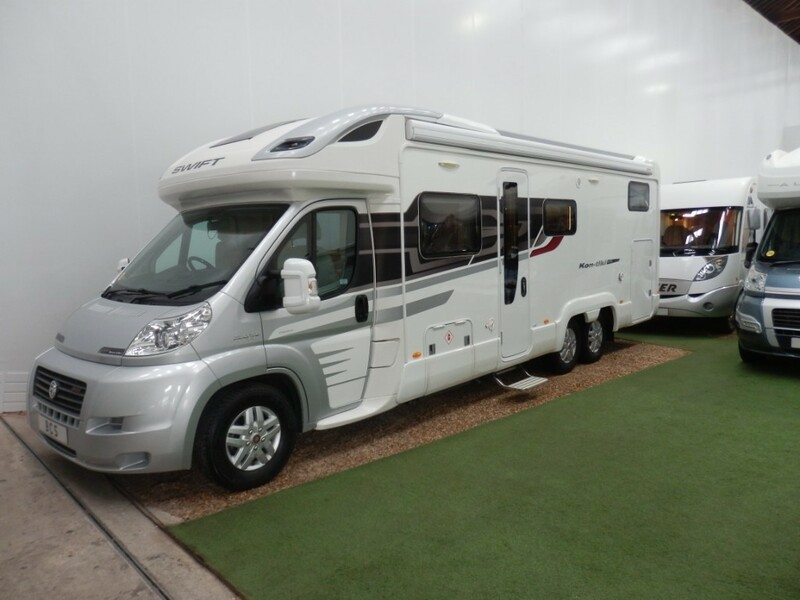 You can view in our indoor showrooms seven days a week with late night appointments available on request in advance. 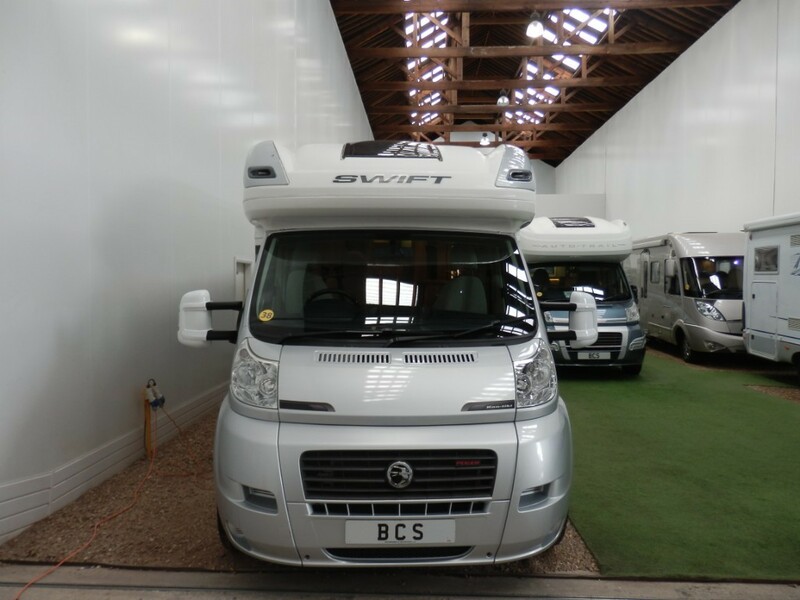 We welcome any inspection including AA and RAC. 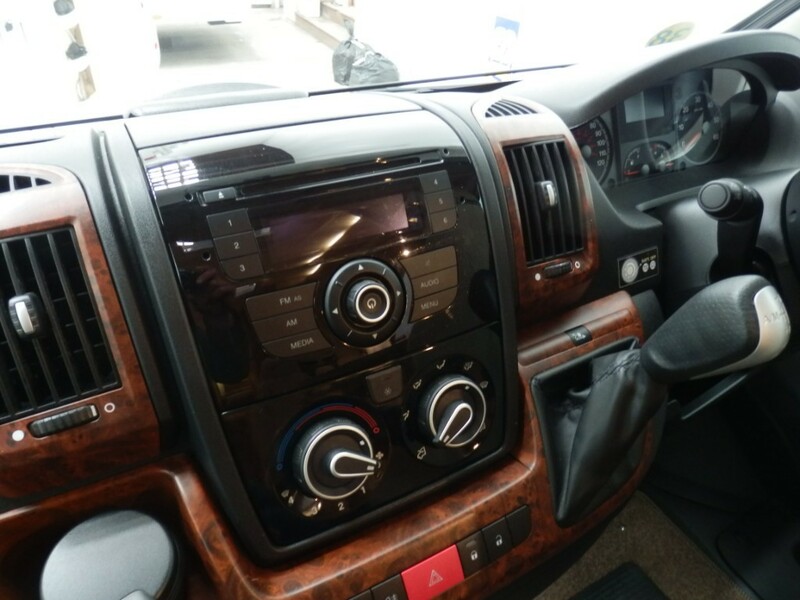 Part Exchange considered and finance can be arranged.